(LtoR) Amit Peshave, General Manager, BM Coaches; Deniz Cetin, Account Manager, Temsa; Rinx Vagarwal, Rinx Tech; Ricky Maharaj, Transport Manager, BM Coaches; Acar Kocaer, International Sales and Marketing Director, Temsa and B Balasuresh, MD, BM Coaches. Arriva Bus and Coach’s latest customer showcase event coincided with the delivery of vehicles from a landmark Temsa contract. Prestigious London operator and long term Arriva customer, BM Coaches had chosen five Safari HDs and an MD9 to its exacting specifications as part its 2016 vehicle investment programme. 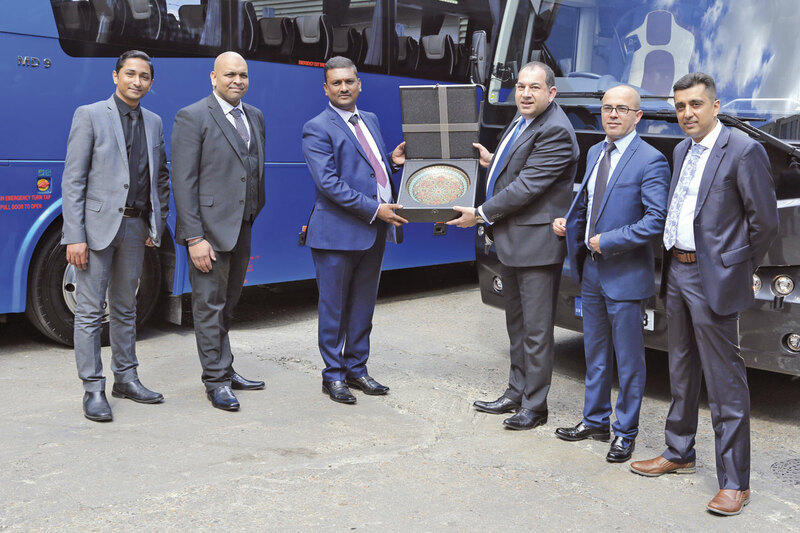 The vehicles were formally handed over by Temsa’s International Sales and Marketing Director, Acar Kocaer, and Account Manager, Deniz Cetin, at the company’s depot in west London. 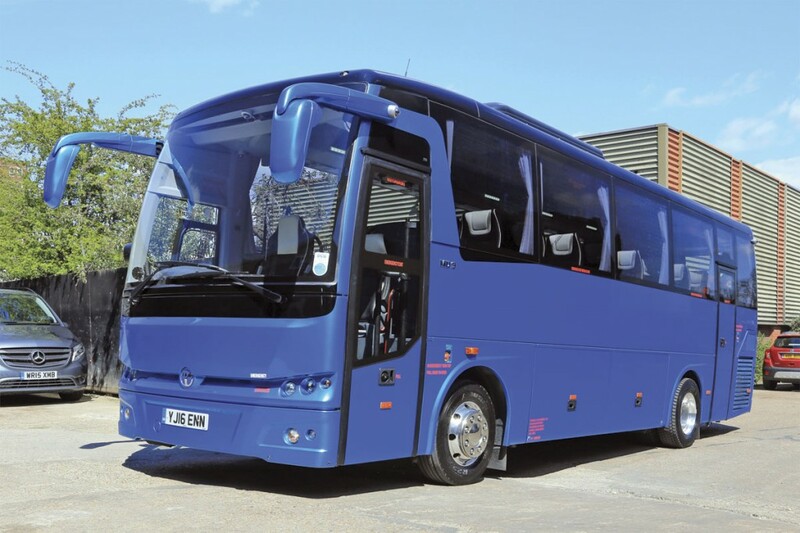 BM Coaches entrance to the quality private hire market followed the acquisition of its first full size coach in 2007. Prior to that, MD, B Balasuresh (Suresh) had operated a number of vehicles of increasing size to transport the staff of his cleaning company. 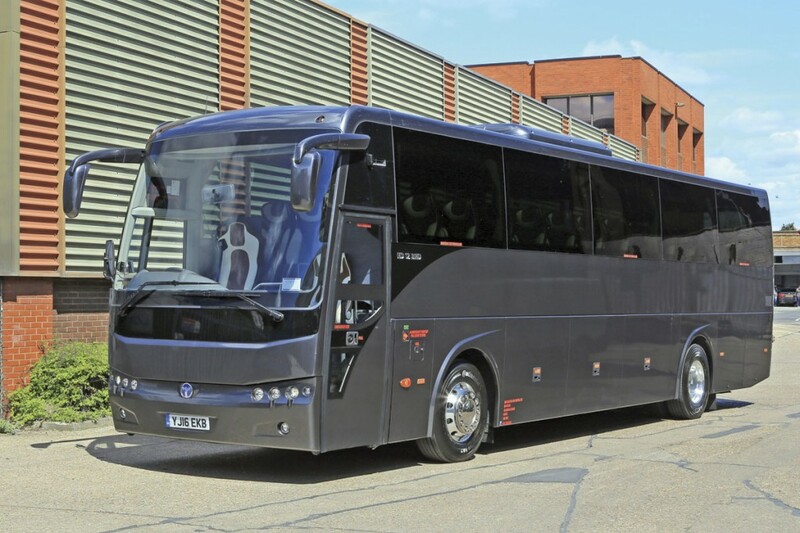 This first coach, a Van Hool, soon revealed opportunities for growth at the quality end of the market and two further Van Hools were acquired. These marked the beginning of a successful ongoing relationship with both Arriva Bus and Coach and Paccar-DAF powered products. As part as of the recovery plan, BM Coaches developed its own tracking and monitoring system in conjunction with Tom-Tom, integrating it with tachograph information and the drivers’ signing in system to ensure compliance standards are exceeded. The company’s ethos is to provide a positive work experience for all of its staff. Drivers, for example, benefit from the depot having a cleaning team that washes all the vehicles by hand every night. Preventative maintenance using original manufacturers parts is also pivotal to maintaining reliability. 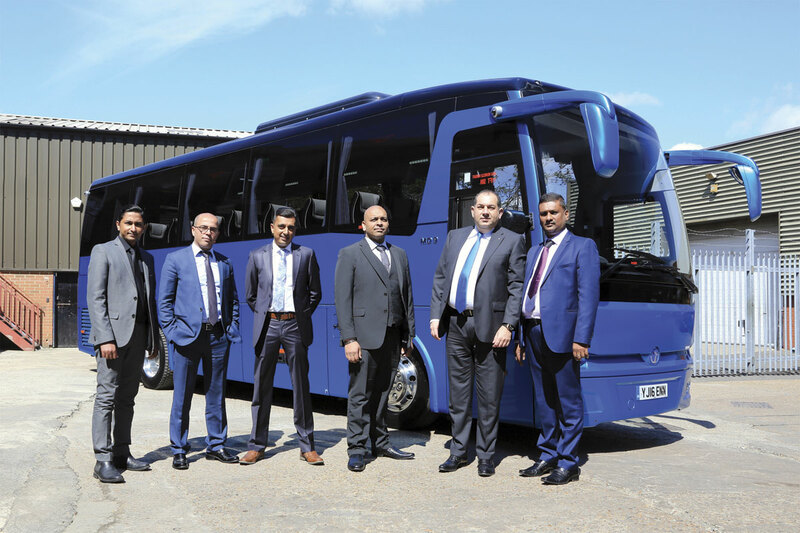 The company now operates 27 vehicles from its depot in Hayes where the almost complete refurbished headquarters building is also home to a chauffeur car service and World Cleaners, the cleaning company with over 300 staff, which together make up Suresh’s family business portfolio. 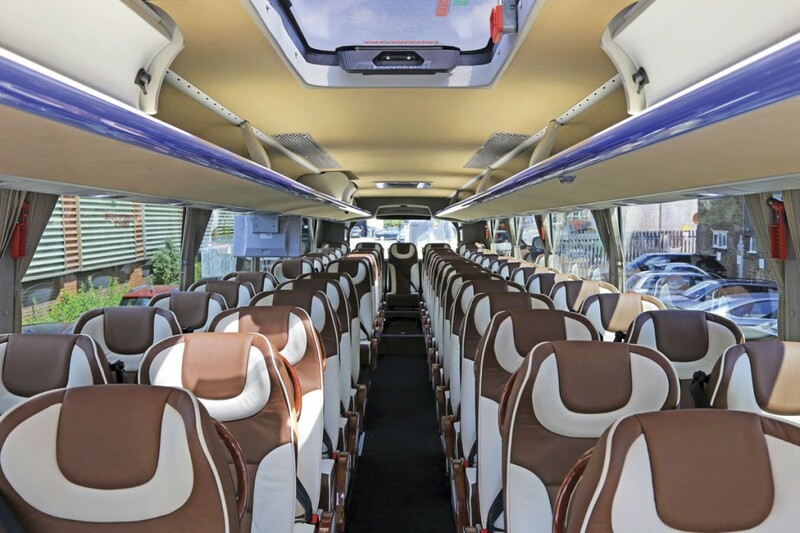 The full size coach fleet has included high specification models from a variety of manufacturers but Van Hools from Arriva continue to predominate ranging in size up to the 68 seater Altano. Double-deckers were previously operated, mainly on skiing trips although the over decker concept is now preferred for higher capacity requirements. 70% of the current fleet is to Euro6 standard. Smaller groups are catered for by a number of high specification EVM Sprinters. 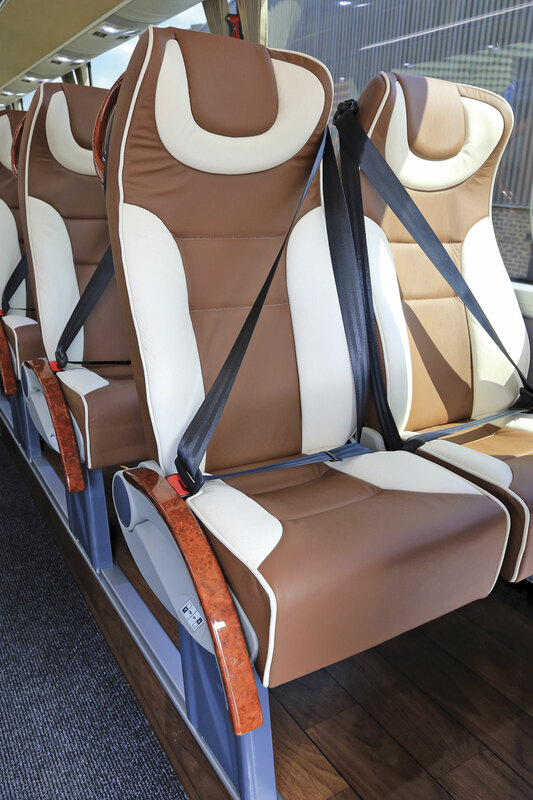 Operations focus on incoming tourism, corporate transfers and quality private hire with the company having the capacity to handle large contracts through strategic alliances with smaller companies throughout the UK. Rinx Vagarwal of Rinx Tech has worked closely with BM Coaches on vehicle specification and maintenance since the company’s inception, being instrumental in developing the discreet specification for the Van Hool vehicles which have always been at the core of BM Coaches operations. A positive relationship developed between the businesses with Rinx drawing up four pages of BM specific requirements based on the stock vehicle inspected. He recalled that by the following morning Temsa had identified a potential solution to all the requirements. 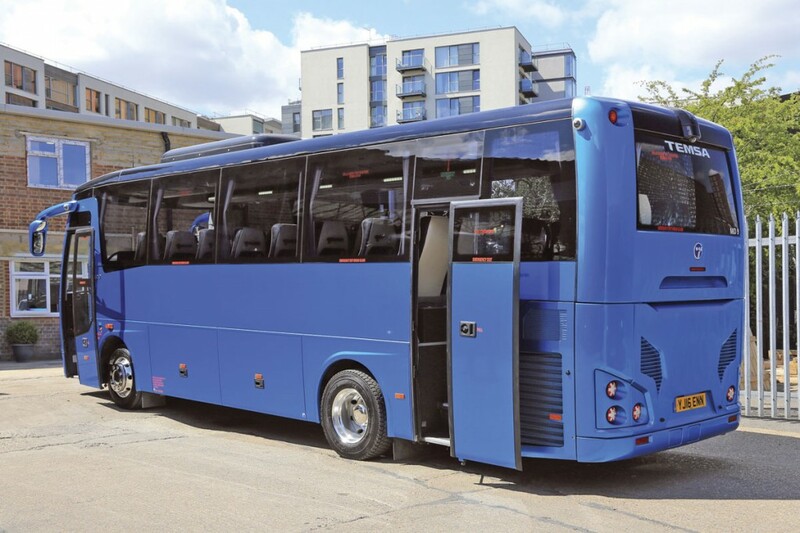 The 9.4 mTemsa MD9 Executive features a Cummins ISB 6.5 Euro 6 engine with ZF Ecolife transmission and is finished in metallic blue reflecting BM coaches use of different base colours across aspects of its business. Internally, it has 34 reclining seats and a floor mounted toilet. Both vehicles have benefited from tuning by software engineers to BM requirements on the test track at Temsa. Rinx described the resulting MD9 configuration as a ‘pocket rocket’. Other changes have flowed through to all UK production vehicles including the dashboard layout where Temsa took the BM design, discussed it with Arriva and agreed to make it standard. The seats remain a BM speciality though, being seen as really different but potentially adding too much cost/value to the standard coach for some operators. 2016 is proving to be a significant year for Arriva’s marketing of the Temsa products. Combined sales of Safari and MD9 models are already exceeding recent years’ totals and the decision on a third product for the range could be known by the time of Euro Bus Expo. Steve expressed Arriva’s, ‘Firm belief in the Temsa brand and the way it has been received in the UK market place. The Safari is going down really well as is the MD9 and in looking for a third product we need to decide what best suits the UK market. We haven’t ruled out Maraton (a stylish looking full size coach) or MD7, its all under discussion.’ Suresh and Rinx both expressed interest in the Maraton stating a desire for BM to be its first UK customer. Asked about the bus side, Deniz said there were no plans at present unless a serious project was raised through Arriva. He considered that any new entry to the UK city bus market would be with the electric models currently under development.